Tomorrow night, I get to work at the library with a guest speaker. Marcus Huff lives just outside of Ten Sleep. He is the former Editor of True West magazine, and a frequent contributor to The History Channel, Discovery, PBS, NPR, and Fox Television. He will be coming to speak on Billy the Kid, although he is very willing to have questions and open it up to discussion. I’m excited. I started off in college life with a history major. I do believe we could have long discussions on many topics! There is no cost. It begins at 6:30, and refreshments will be served. All I know are Hollywood stories about Billy the Kid, and he was telling me today what a punk Billy was… I’m eager to find out more. 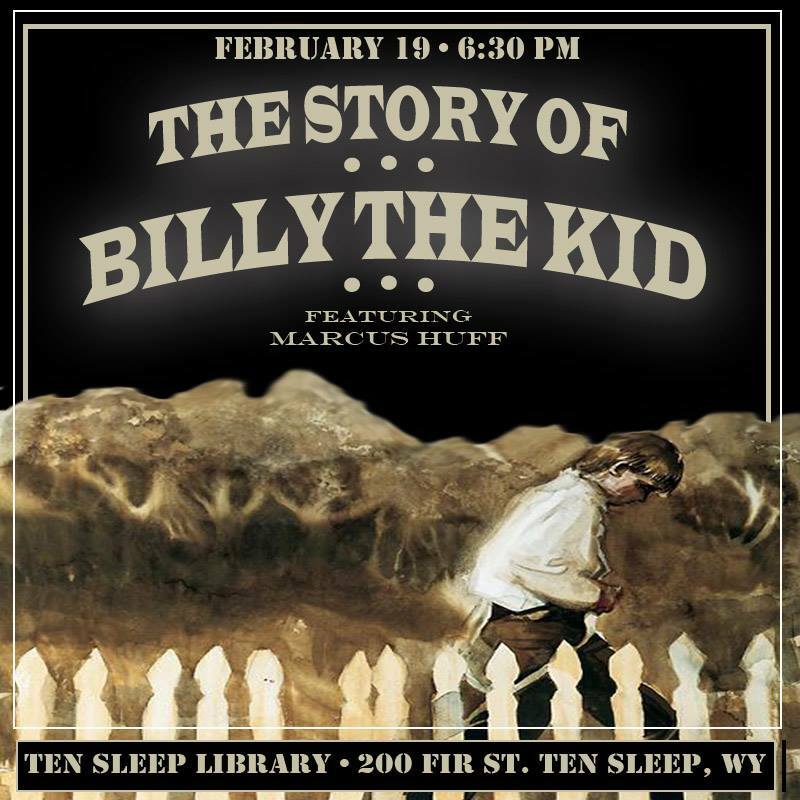 If you’re in the area… please come to the Ten Sleep Library and join us in a lively talk about one of the West’s most interesting characters! Which Periscope App do you use? I honestly didn’t know there was more than one! the logo has a blue background with an upside down white tear drop shape with a red circle in it. Does that help? Thanks for the hospitality. I hope we can do it again. That sounds so marvelous! I wish I could be there. Enjoy!! Wish I could be there. I recently read “Bill O’Reilly’s Legends and Lies: the Real West” and found it fascinating even though I am not a history buff and rarely read Westerns.